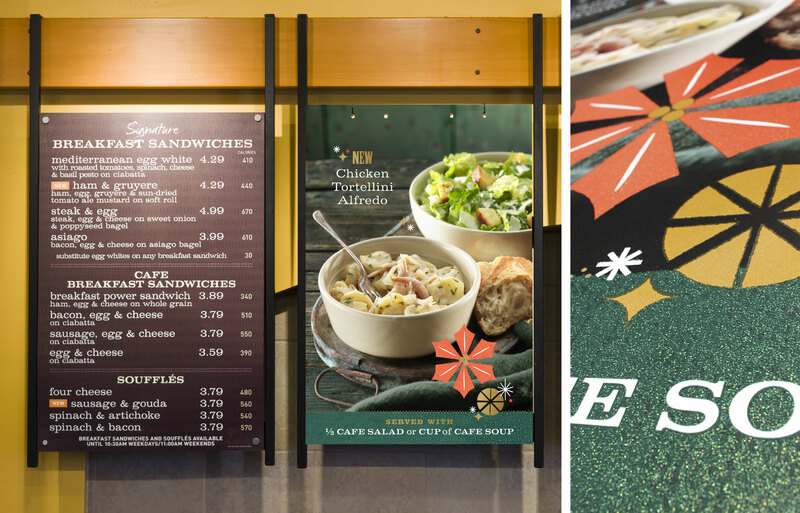 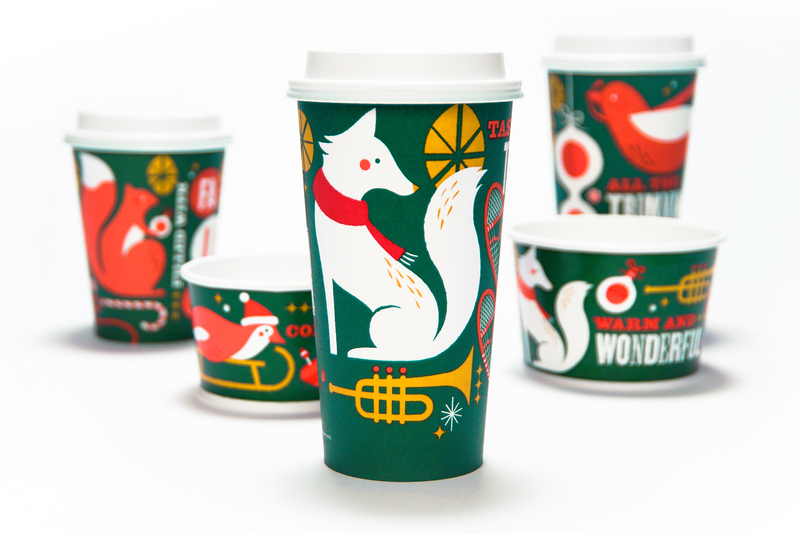 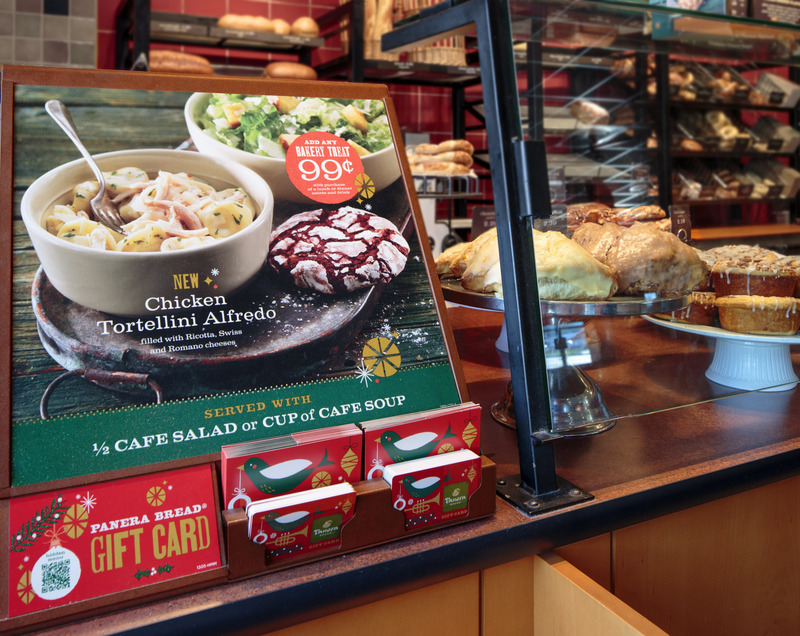 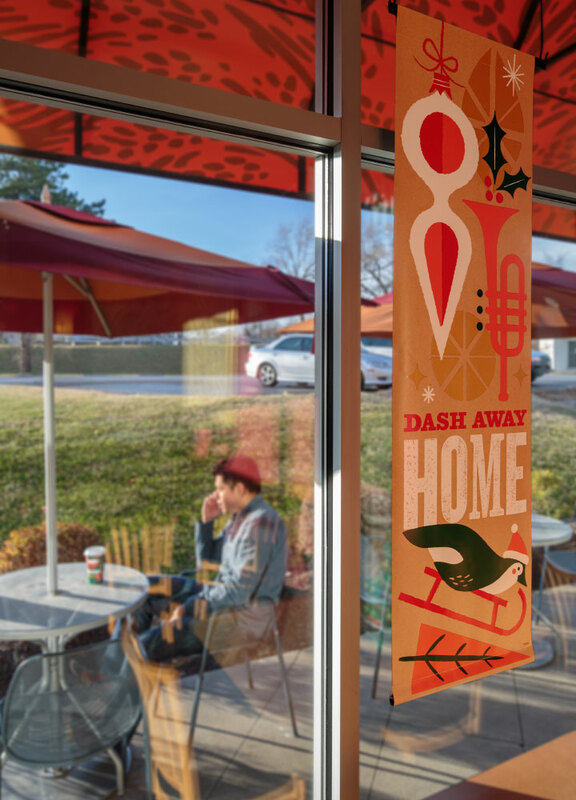 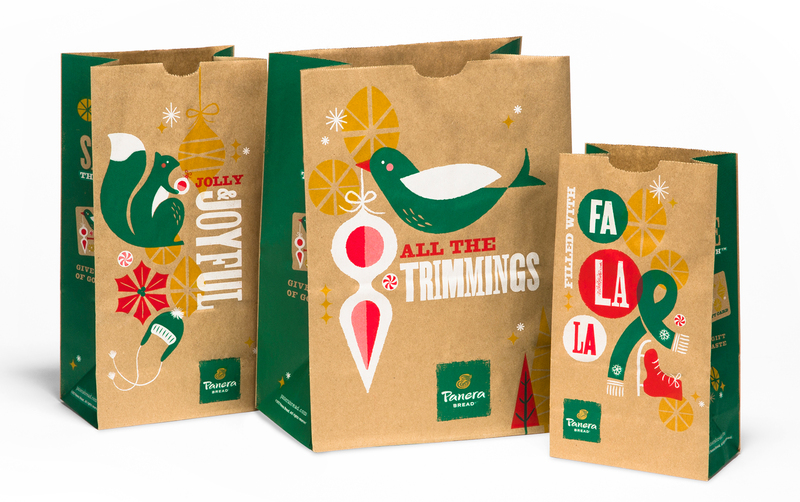 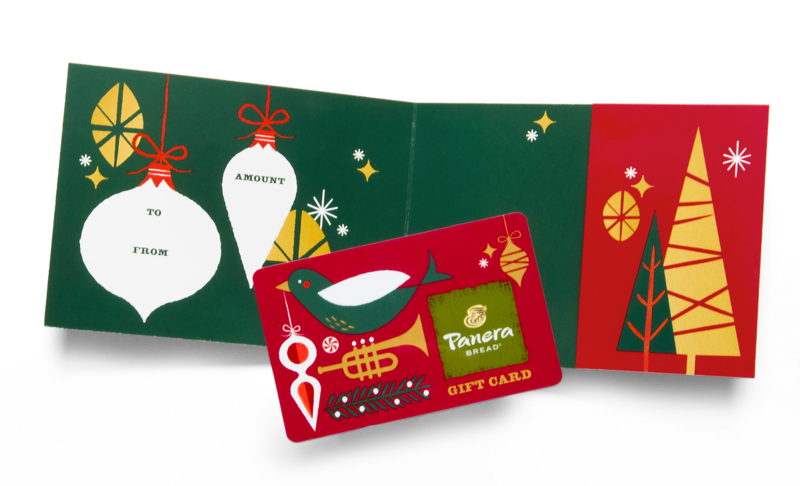 Classic and nostalgic Christmas critters and icons inspired this holiday season at Panera Bread. 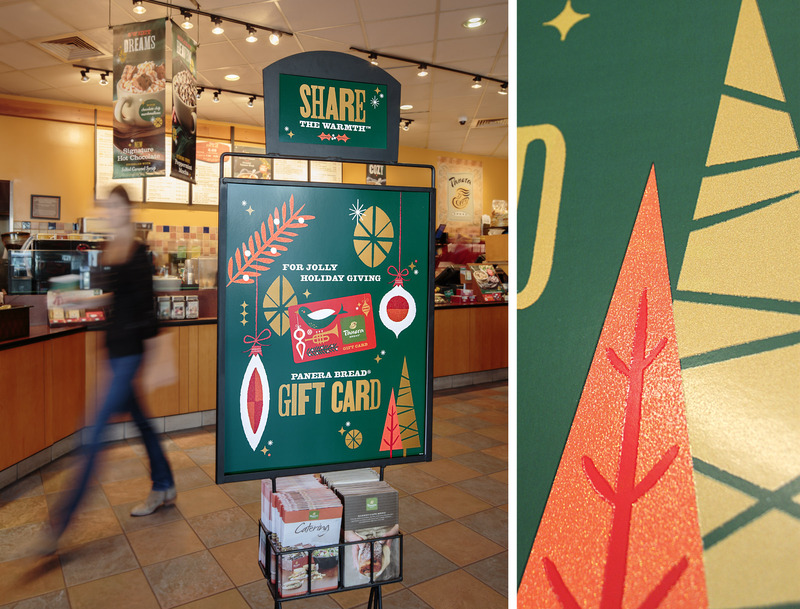 All the trinkets and treasures that make opening a stocking so much fun are sprinkled throughout. 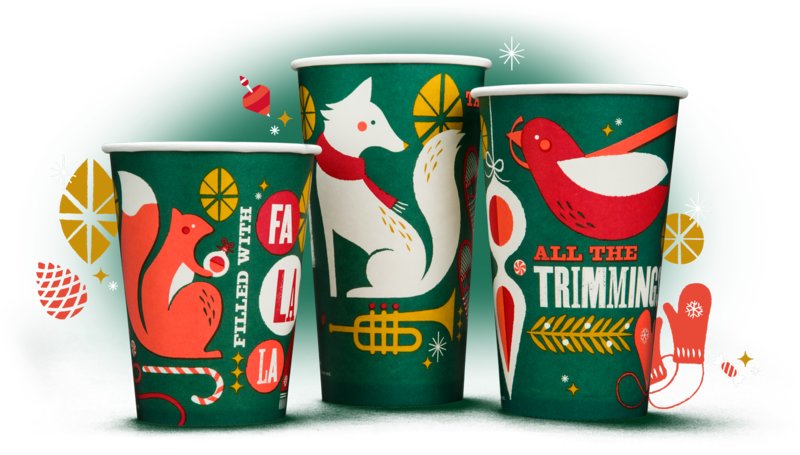 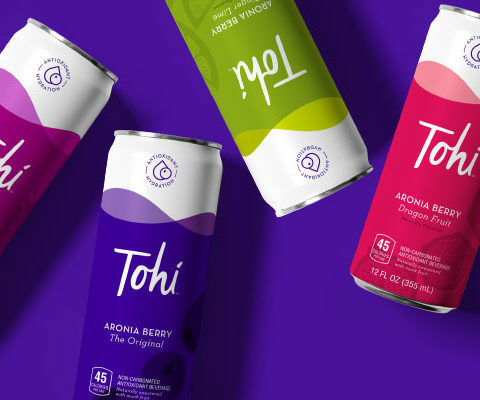 The playful, exaggerated use of scale alongside a mix of letterpress typography sends jolly and joyful messages to wish customers a tasteful holiday season.